Wolverine (Gulo gulo) lives in taiga and tundra of Europe, Asia and North America. It resembles something between a tiny bear and a wolf, but in fact is the largest terrestrial member of the weasel family . It is probably the least-known species of all large land predators. 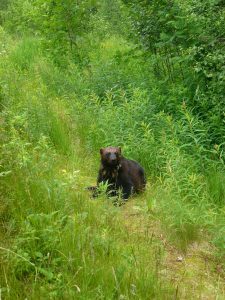 It is probably the most aggressive animal of great strength, courage, skill and tenacity – there have been many cases of wolverine’s successful confrontation with large and stronger predators, like a bear or a pack of wolves. Wolverine is a good swimmer, climbs trees with ease. It does not hibernate during winter, but it functions in 4 hours of activity and sleep. Strong jaws combined with sharp teeth allow it to crunch large bones and frozen meat In the tunnels under the snow gathers food supplies, to which it returns even after 6 months. Wolverine fur coat is very thick, warm, greasy and hydrophobic, which once made them a prime hunters’ target. Wolverine can occasionally ‘steal food’ – chase away predators from the kill. They do that by secreting unpleasant odour, which is whay they are often referred to as “skunk bears’. Male and female territories overlap each other, and they have strong family bonds. 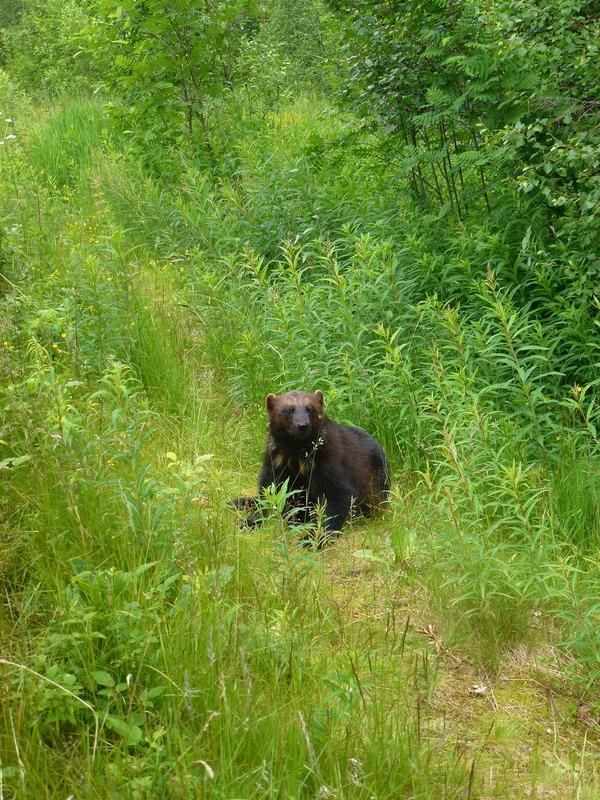 A male wolverine will interact with his kits even after they have struck out on their own.